We were pleased to host our second Teens United meeting on Friday night last week. All of our students ages 13-19 are welcome for a fun time together led by brother Adam McFeaters. The activities included scripture memorization, bible study, purpose seeking, music training and even a little PT! Unfortunately we had to cancel our Saturday outreach and concert as well as our Sunday morning and evening services thanks to Hurricane Matthew. While we still had an outreach and showed a movie: Beyond the Mask (which we would definitely recommend for any movie night), by the time it was over our city and our entire region was mostly underwater and remained so until Sunday night. The hurricane was supposed to miss us... well... not quite. 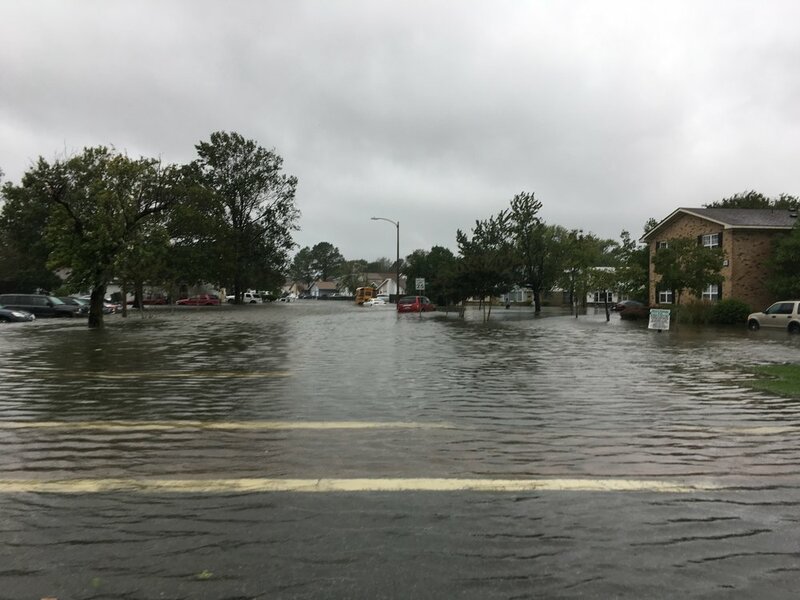 Of course, we will not attempt to compare what happened in our city or Hampton Roads at large to the devastation Matthew caused in Haiti, the Bahamas, Florida or the Carolinas. Certainly our prayers are with all of those who lost loved ones, livelihoods and property in this disaster. We continue the sermon series "Pray, Think, Vote." This will be part 4 and we encourage you to join us at 7:30pm. Join us for our Sunday services, 11:00am and 6:30pm. God has bee powerfully moving in our services, so don't miss out! Until next time.. God Speed!